Search Our Site!Type what you are looking for in box below and then hit "Enter". 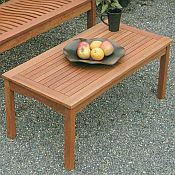 The Arboria Happy Hour Coffee Table is designed to complement any patio, deck, balcony, or to any indoor sitting room or sunroom. 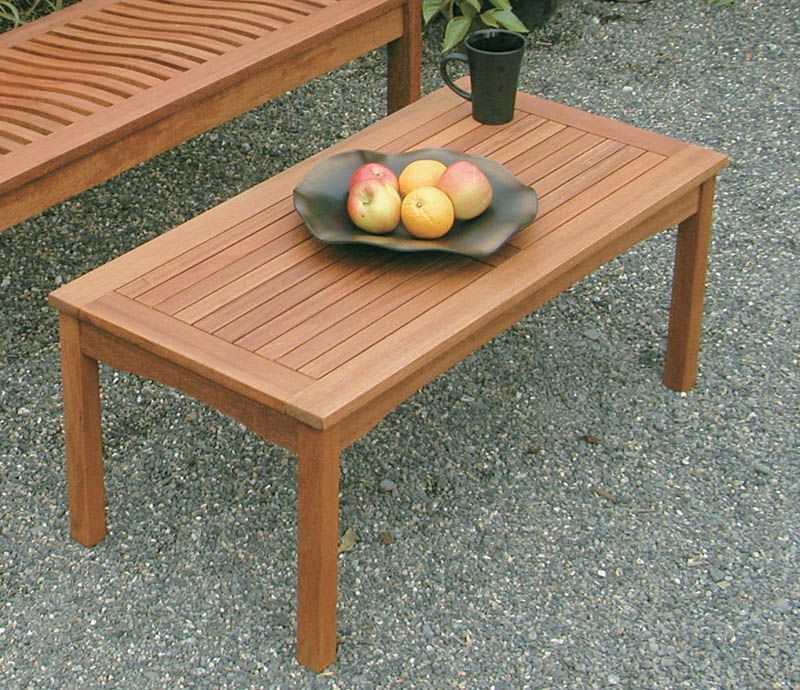 Pre-treated with linseed oil for out-of-box protection, regular conditioning is recommended. * Ranked ´3´ on a scale of 1-8 when compared to other hardwoods. Lower number signifies greater strength. Easy final assembly with key components pre-assembled. This item has been discontinued. We apologize for any inconvenience. Got a question send us an email! Or call us Toll Free: 888-253-9736! Images Disclaimer: We have made a concerted effort to provide images that accurately represent the actual color style size & shape of each product. However due to all the possible variants including but not limited to: light source monitor quality or settings etc. ; we can not guarantee that these images represent the actual colors of the product. Returns due to color discrepancies will be considered a return of a non-defective item as detailed in our "Legal / Return Policies" link in footer below. © Copyright 2001- by BackyardCity.com. All Rights Reserved.